The Jewel has many meanings: wealth, beauty, royalty. But for Violet, the Jewel has always meant servitude. Born and raised in the Marsh, Violet is destined for the Jewel. She is trained as a surrogate for the elite and is bought by the Duchess of the Lake at auction. And she quickly learns that beneath the Jewel’s glittering façade lies the cruelty, backstabbing, and hidden violence that have become the royal way of life. Violet must accept the ugly realities of her life...all while fighting for her survival. But before she can accept her fate, Violet meets a handsome boy who is also under the Duchess’s control. A forbidden love sparks. But their illicit affair has consequences, which will cost them both more than they bargained for. And toeing the line between being calculating and rebellious, Violet must decide what, and who, she is willing to risk for her own freedom. Amy Ewing earned her MFA in Writing for Children at the New School and received her BFA at New York University. 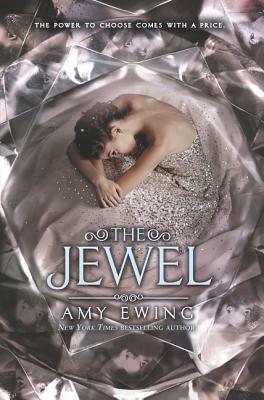 The Jewel started off as a thesis project but became her debut novel, the first in a New York Times bestselling trilogy. The other books are The White Rose and The Black Key. She lives in New York City. Visit Amy online at www.amyewingbooks.com or on Twitter @AmyEwingBooks.